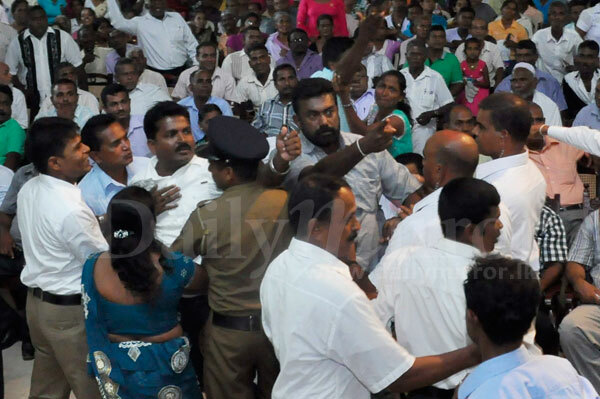 A tense situation prevailed at an UNP meeting in Ampara, chaired by Prime Ministers Ranil Wickremesinghe, when some of the UNP supporters protested while MP P. Dayaratne was speaking at the event. 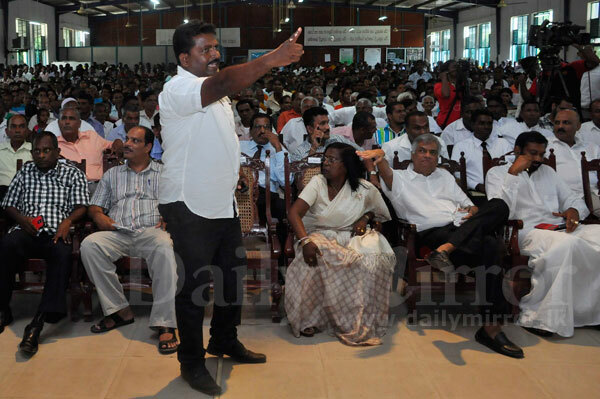 Some supporters, led by local government UNP members claimed that Mr. Dayaratne joined former President Mahinda Rajapaksa’s government some seven years ago betraying the UNP. Bunch of uncouth hooligans. Our politicians are probably the worst behaved in the entire world. 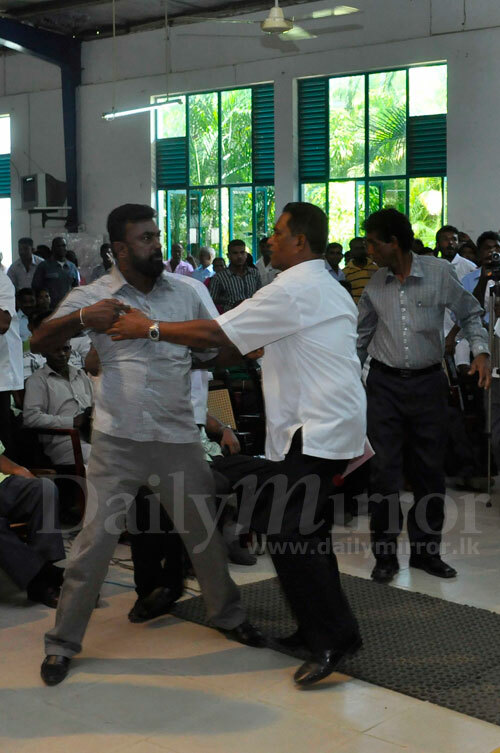 Even the African politicos behave in a more civilized manner.Oh Mother Lanka we weep for you! 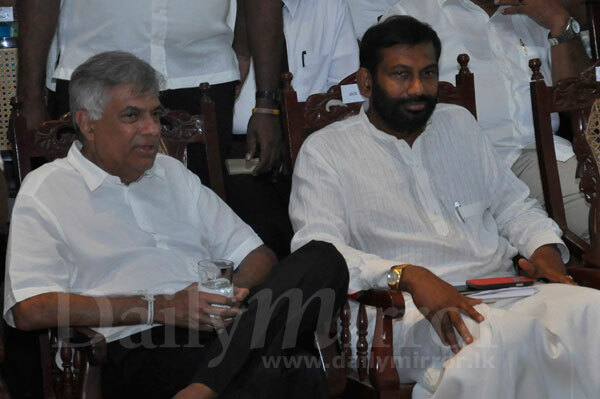 Please let Dayarathne to contest on the UNP ticket to let people to decide his future as the existing preferential system to be applied for the next General Election. That system is the best form of elections and the prevailing law can be enforced to dispel malpractices even by enacting new strong laws that system can be made fair particularly after establishing Independent commissions. 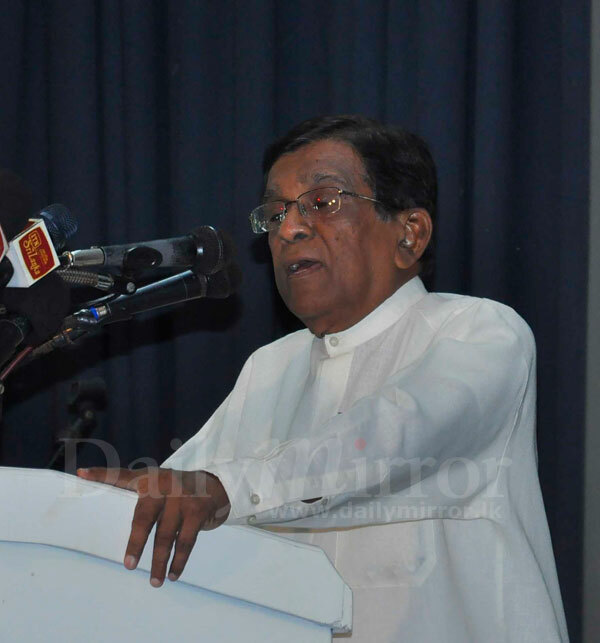 If Mr Dayarathna has joined after the war, he will have to explain to the U.N.P voter why he joined the government without being a strength to the opposition. In a democracy strong opposition is important.He must live up to the manifesto of the U.N.P. It seems no unity in the govt.